In the grand scheme of things, it appears it's going to be a fairly mild winter. At least that's the way things are shaping up here in St. Louis, which for someone who was looking forward to getting some real wear out of a couple of new coats hasn't been that exciting. On the other hand though, I've given my winter weight suits an opportunity to earn their keep. 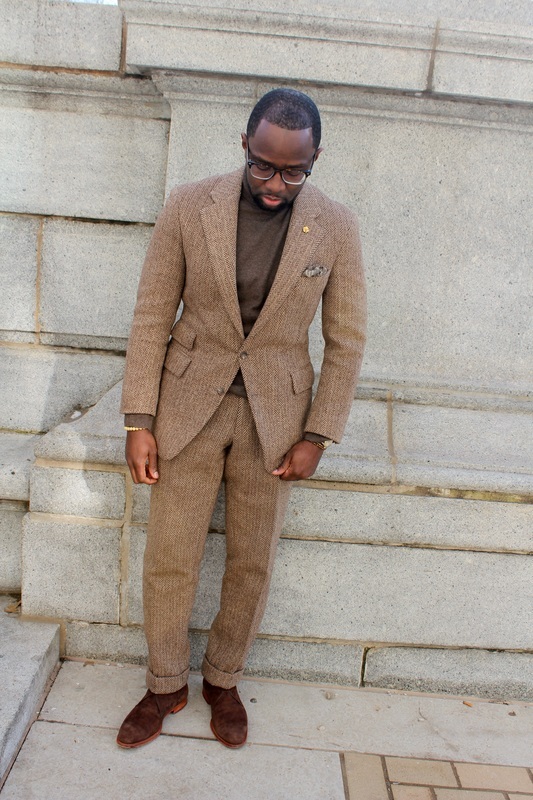 One of my favorites is this custom brown herringbone suit from Ralph Lauren. Calling this suit heavy is quite frankly an understatement. Every time I pull it on, I have to resist the urge to stick it on a scale to see exactly how much it weighs. I got this before I really became the menswear nerd I am today and didn't pay attention to the fabric weight. All I knew was that I didn't want the strong shoulder that Ralph Lauren made famous. 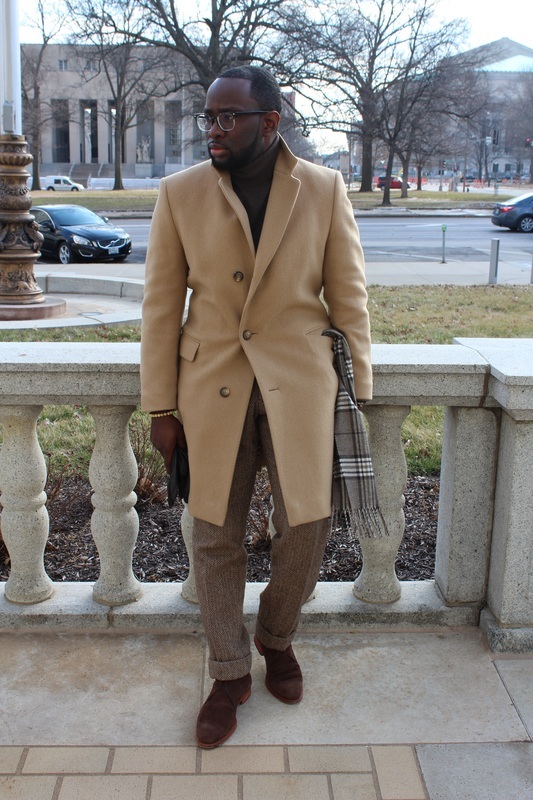 Details such as the ticket pocket, soft shoulder and wider lapels were options that I had to have. The weight behind this suit allows me to get away with not wearing a coat on a milder winter day, especially when I don't have to deal with the wind. Doesn't mean I won't throw one on when necessary. 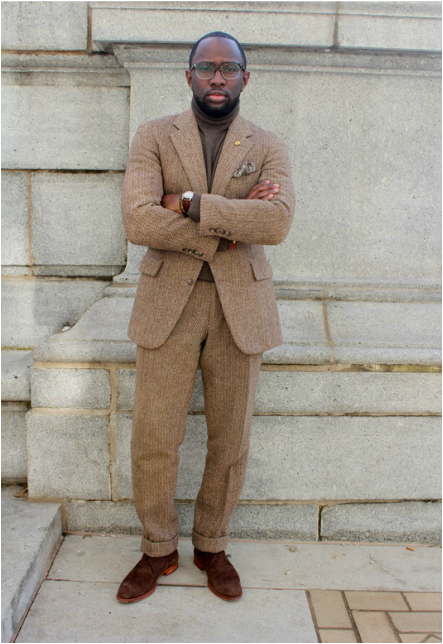 I will admit that while I love this suit, I find myself wearing more it casually than anything. 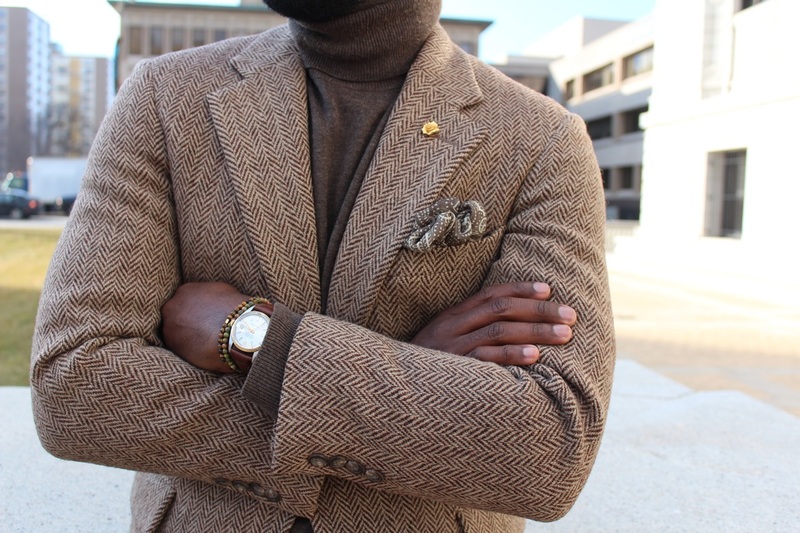 Given my fondness for turtlenecks this winter, they've been a great pairing with this suit, especially in earth tones such as dark brown and olive.